Over this past week we Americans have commemorated to events that resonate in the consciousness of the people. It is the 150th Anniversary of the Gettysburg Address as well as the 50th anniversary of the assassination of President Kennedy. However, the media seems to have focused all energies, airtime and column space to JFK. The 50th anniversary of the JFK assassination in Dallas on November 22, 1963 spawned hours of television coverage, documentaries and editorials by major news organizations regarding the continuing speculation of conspiracies, opinions regarding the legacy, observations on the 1000 days of the presidency, and controversy over the personal foibles of the man who served as president. During this same week, we commemorated the 150th anniversary of the dedication of the National Cemetery at Gettysburg where Abraham Lincoln delivered the historic speech that came to be known as the Gettysburg Address on November 17, 1863. In my humble opinion, it is a travesty this anniversary has been overshadowed. 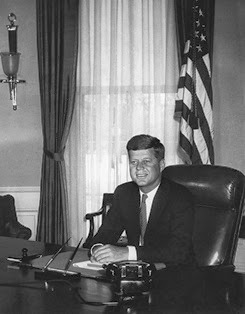 The events of November 22, 1963 resulted in the death of one man. 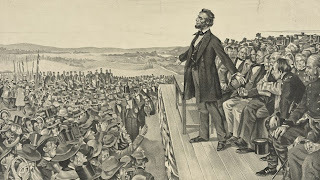 Although he was a popular president of this great nation and his untimely death left a pall over the citizenry, this heinous act of a lone gunman did not cleave the nation, as did the civil war. When Lincoln spoke those 272 words that would honor those who fought and died for preservation of our union and the proposition that all men are created equal, he set the trajectory in motion that would ultimately result in the civil rights laws enacted by Lyndon Baines Johnson after Kennedy’s death 100 years later. But for the courageous acts of Lincoln, there would be no Kennedy or Johnson legacy. Furthermore, the commemoration at Gettysburg on November 17, 1863 began, albeit in some small measure, the healing of our collective psyche caused by the war that divided families and states as well as the nation. So, from my humble perspective, Lincoln and the Civil War should trump Kennedy. 620,000 died in the Civil War. The battles of Gettysburg resulted in 51,000 casualties including dead, wounded and MIA. One popular president died in Dallas. While I do not intend to minimize the impact of his death, the 620,000 dead over 4 years in the Civil War is far more tragic and the 150th Anniversary of the commemoration of the National Cemetery at Gettysburg should have received equal if not more media attention.